The CAT1 is a microprocessor controlled 2-wire 4-20mA transmitter. 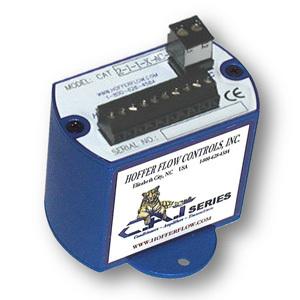 The CAT1 converts a low level, frequency signal from a flow meter sensor into an analog 4-20mA output. The output is proportional to the flow rate. 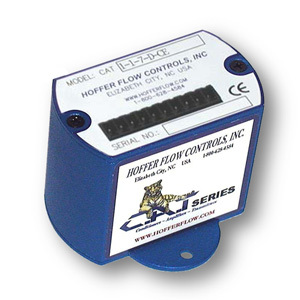 The CAT2 is a versatile DC or AC powered transmitter that can be interfaced with any Hoffer flow sensor. It provides a pulse output and an analog signal proportional to the flow rate. The CAT2 can be configured with High and Low alarms. The PET Series converter receives frequency input and converts it to a proportional 4-20mA or 0-10V analog output. It has been designed to fit a compact “ELBY” explosion-proof enclosure. 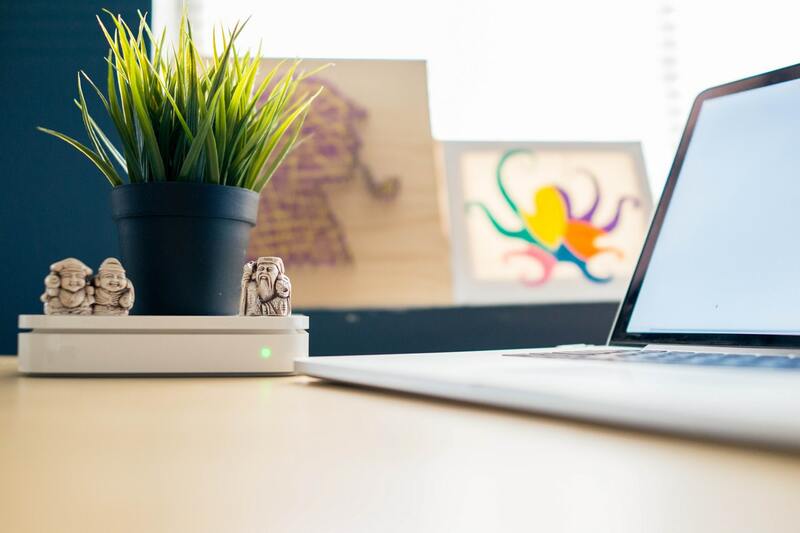 The frequency range is field selectable to fit most applications. ZERO and SPAN adjustments make it easy to calibrate to almost any measurement range. 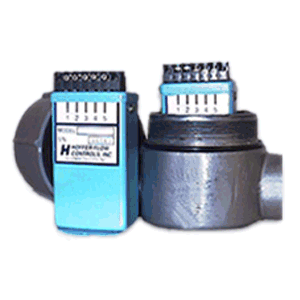 This series is designed for use with the Lo-Co Series of low cost flow meters. The PET Series mag-preamps are designed to convert low level sinusoidal signals into stable square wave pulses. The signal conditioners are built to fit a compact “ELBY” type explosion-proof enclosure. 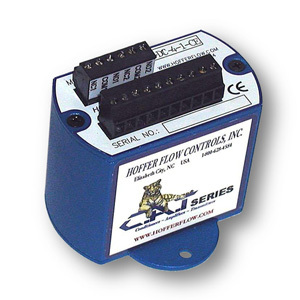 The series is designed for use with the Lo-Co Series of low cost flow meters.